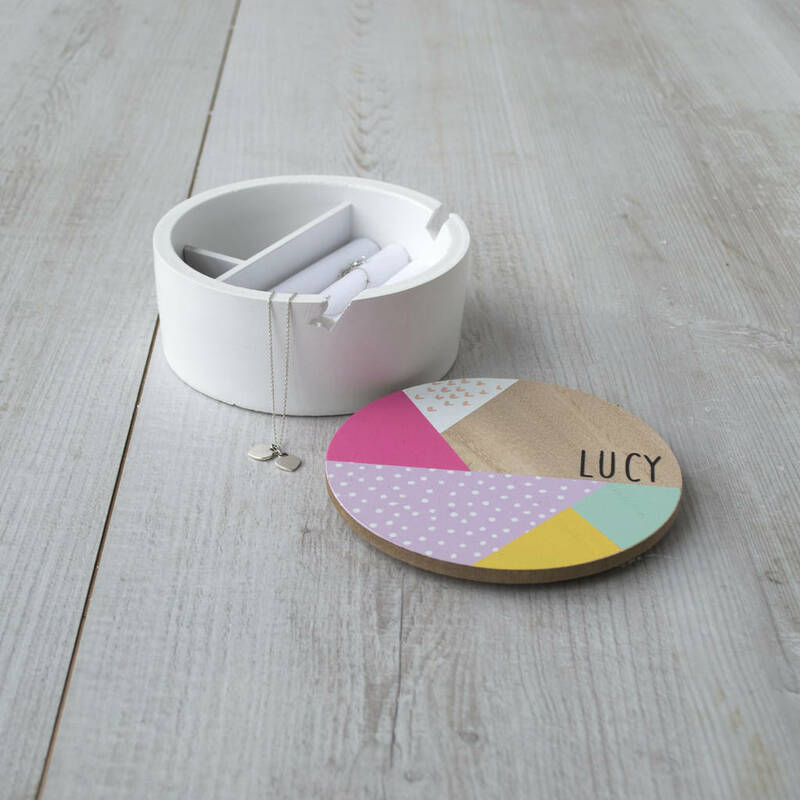 A beautiful round wooden jewellery box with a stylish geometric print and an option to personalise. 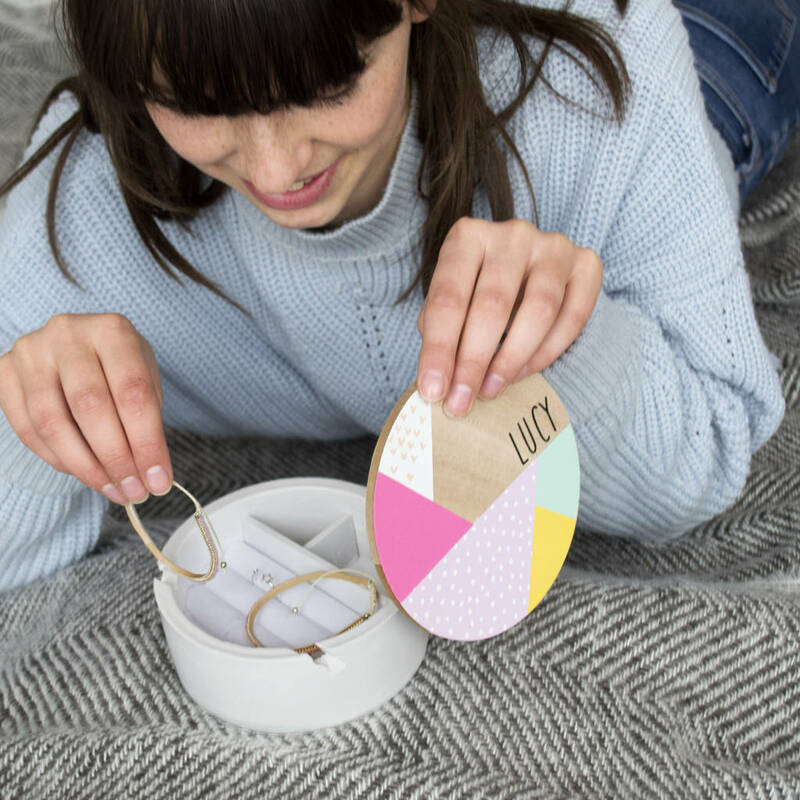 This pretty personalised box is versatile and works as a stunning jewellery box, keepsake box or just a beautiful place for bits and bobs! With the option to personalise this is something really special. 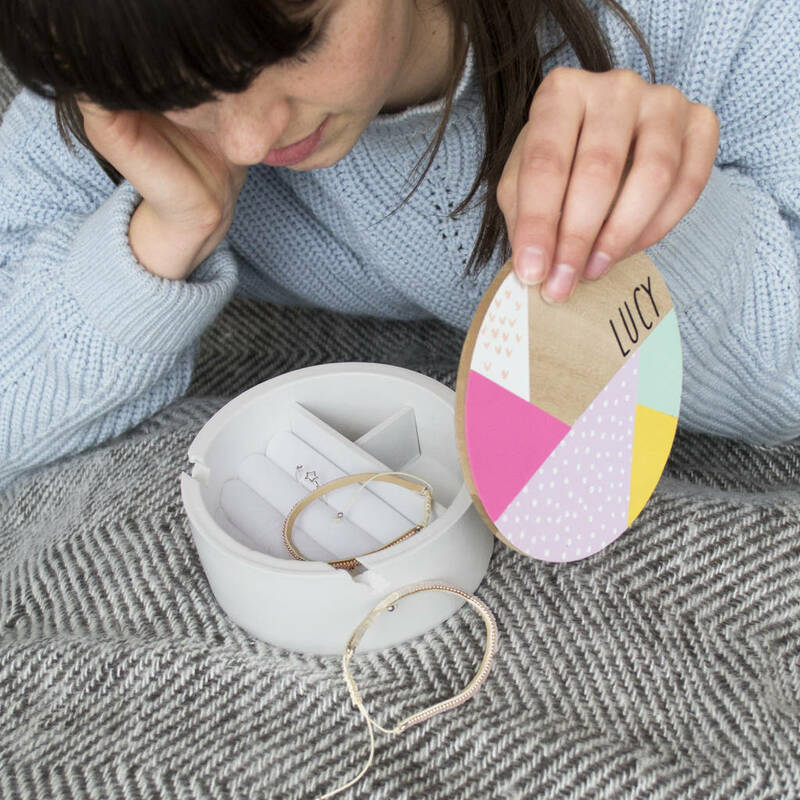 This round wooden jewellery box makes a great, thoughtful (and useful!) gift for any woman in your life. This gift is fab for your mum, relatives, sister, best friend, daughter or wife. Also really popular as a gift for Bridesmaids or little girls. The box can be personalised with an on trend font. Wood and a glass mirror under the lid.